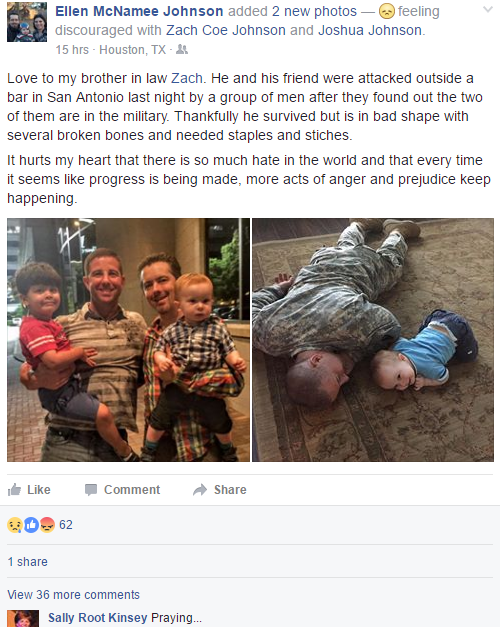 A U.S. Army National Guard staff sergeant says he and one of his Army veteran friends were assaulted by Black Lives Matter supporters in San Antonio, Texas, Thursday Evening. 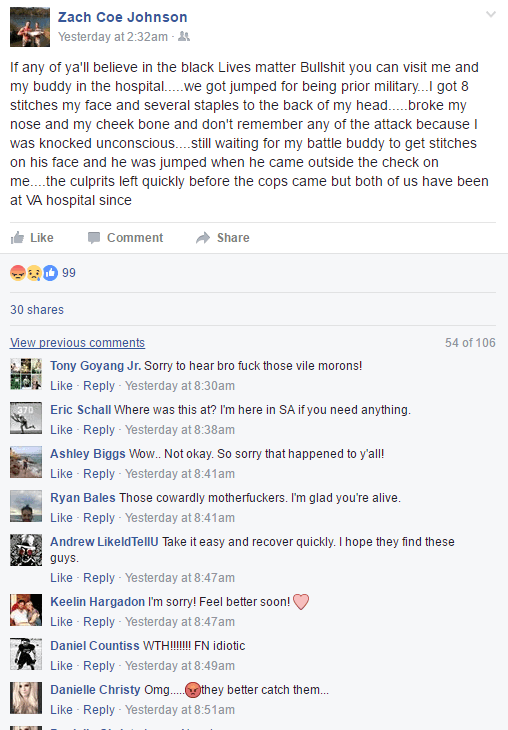 “As I was getting my face stomped in and thrown through a window, they (all 4 of them) were yelling racial slurs saying how whites sucked and black lives were better,” Mark Stephen, the second victim, said on Facebook. 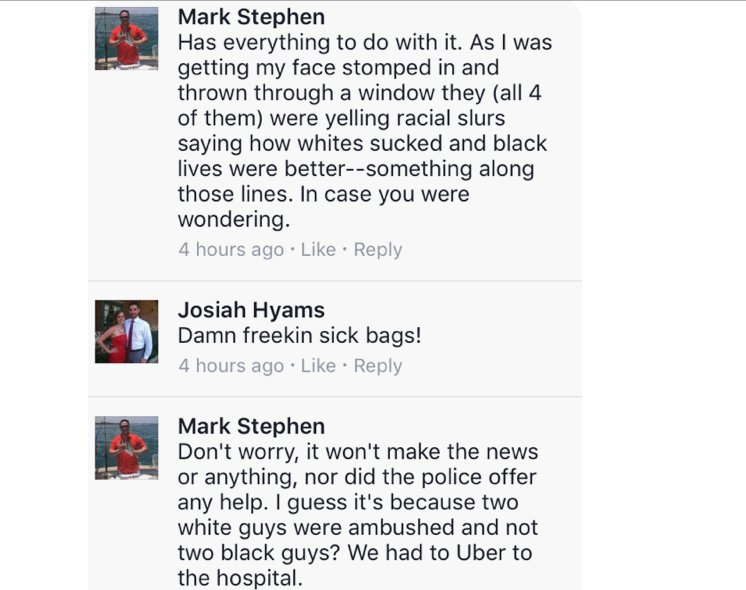 Stephen went on to say the San Antonio police were of little help and that they two veterans had to Uber to the hospital. 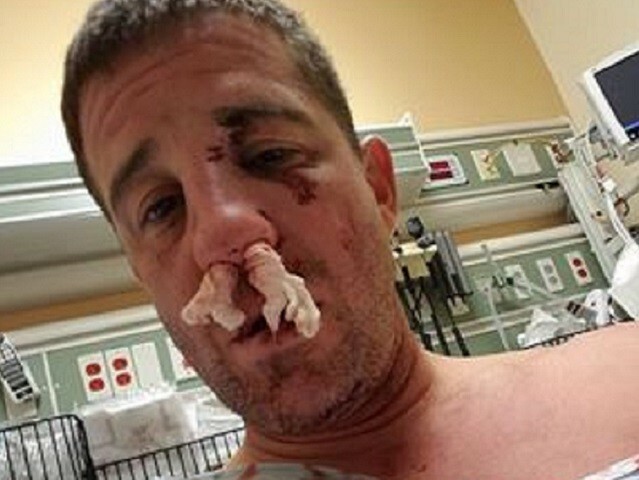 He did not say what his injuries were. Johnson said he received a broken nose and cheekbone. 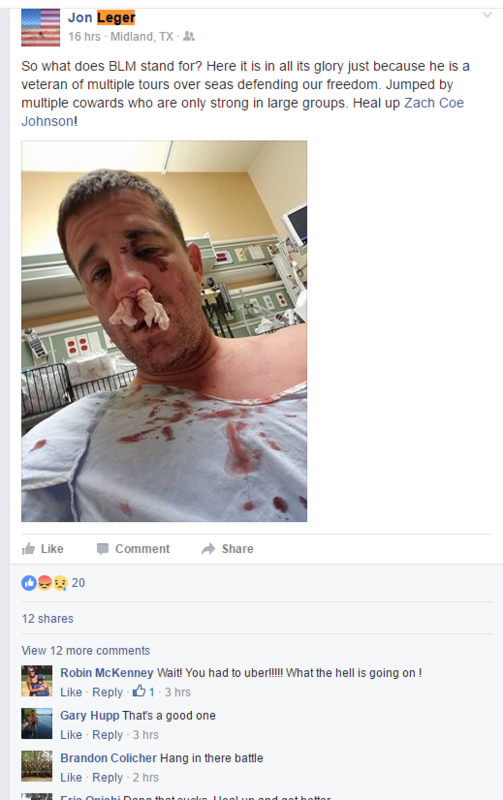 He said he and his military veteran friend were hospitalized. 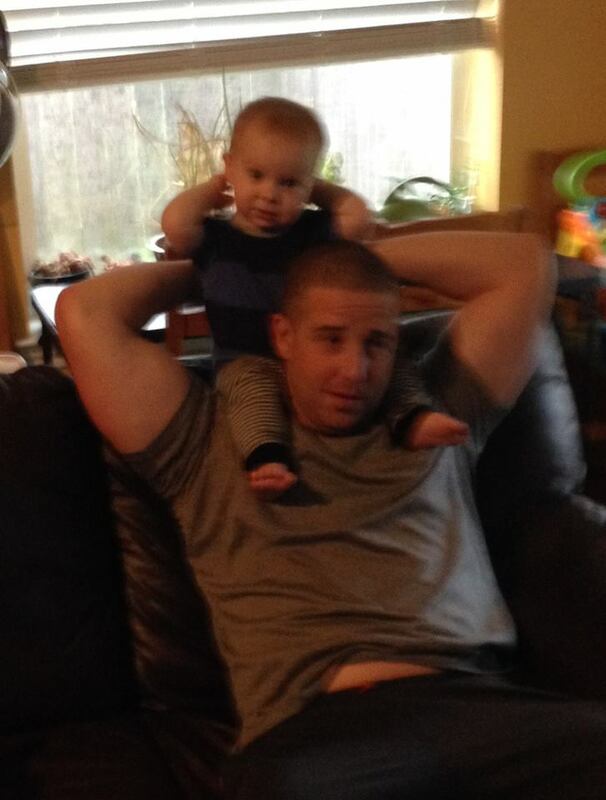 Johnson said he received eight stitches on his face and several staples to the back of his head. 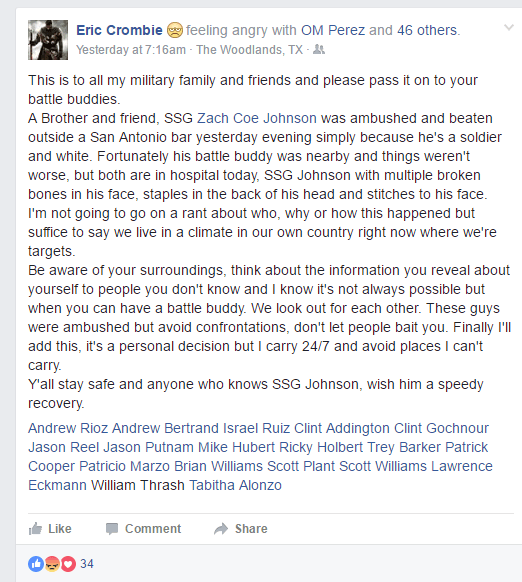 Johnson did not know when he posted on Thursday at 4:54 p.m. that he was “San Antonio bound” from Houston, that he and his friend would be jumped by thugs and would be in the hospital just hours later. 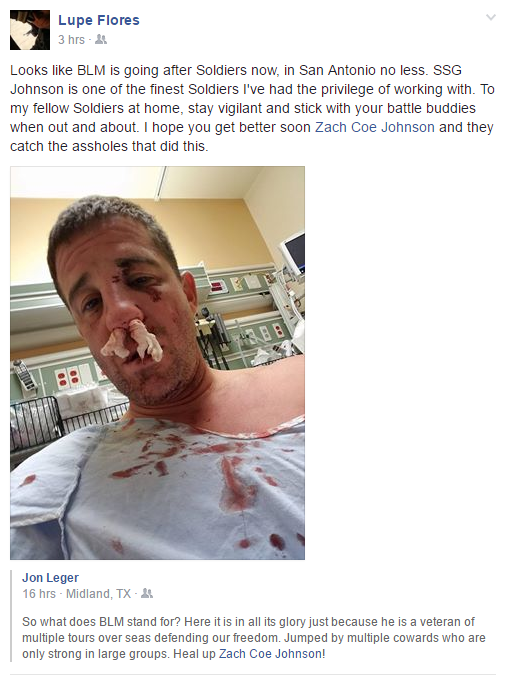 Johnson, who has served this country as a staff sergeant, says he cannot “remember any of the attack because I was knocked unconscious.” He said his “battle buddy,” as he calls him, was assaulted when he came out to check on him. San Antonio is the home of multiple Army and Air Force military installations. 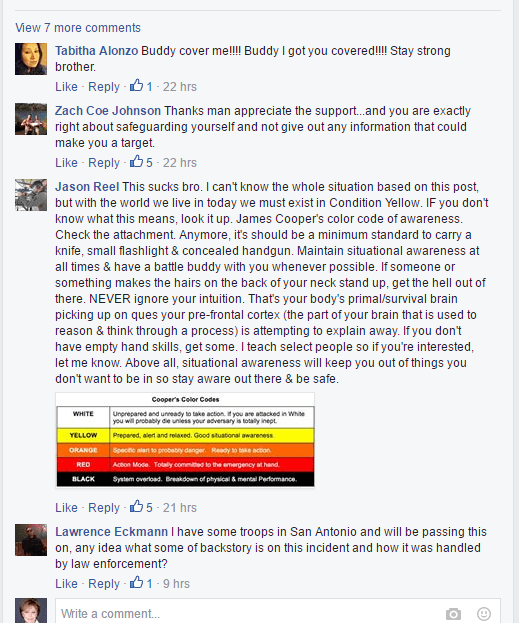 An inquiry to the San Antonio Police Department was not returned as of the time of publication of this article.